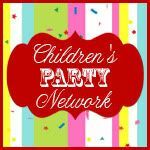 Party Wishes: Halloween Swaps-Look what we got! I signed Chasen and Sheridan up for a Kiddie Halloween Swap hosted by Denise at Polka Dot Moon. Last week, the packages were officially swapped and look what they got! Chasen is 11 and his swap partner was Vivianna from NY and they are the same age. Her grandmother signed her up for the swap and I believe she made this great trick or treat bag. Chasen said he could get a lot of candy in there! He also loved the big bag of candy that came with it (there was more...some was eaten before pictures could be snapped!) The bugs and skeletons were also cool. Sheridan's partner was Jackson, Denise's son who is 7 (Sheridan is 8). Sheridan played with these pop-up Frankenstein and Mummy all day! They were a big hit! Also included was some lovely handmade items from Denise. She made the halloween tag and this cut flower pony holder. So cute! The Tink snacks were eaten by her brother (that's a picture of empty bags) and Sheridan said since she is going to be a cat for Halloween, the pumpkin bell necklace will be perfect for her ensemble! Thank you SO MUCH Vivianna and Jackson! We really love our swaps! Smiling faces all around! Thanks for the AMAZING package!! !